Mr Crab…we meet again. Prepare to die! Mr Crab, dead and disemboweled. 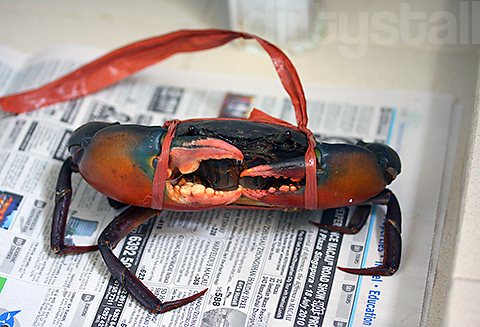 Then I dissected Mr Crab up so that he would fit in the pot. 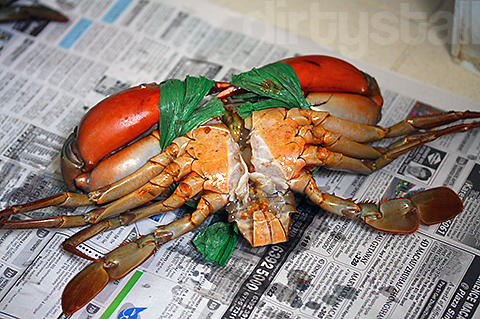 Then cook him in boiling water and dig out all that sweet yummy crabmeat. 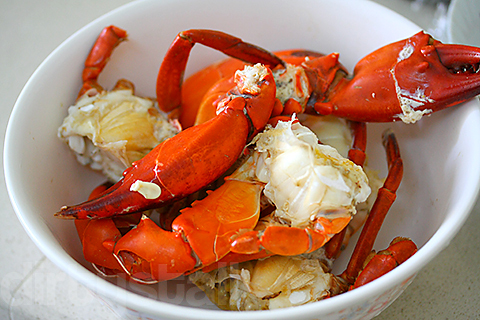 14 Responses to "Crab Risotto"
ohh poor mr crab! 😦 but sacrifices have to me made to get that yummy crab meat! 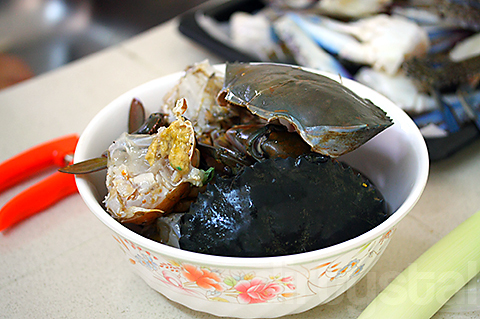 Yes mr crab was sacrificed for the greater good of our stomachs! Oh my oh my.. The last photo of the crab risotto looks so tempting! I cant take my eyes of it! Hmm.. looks yummmyy! 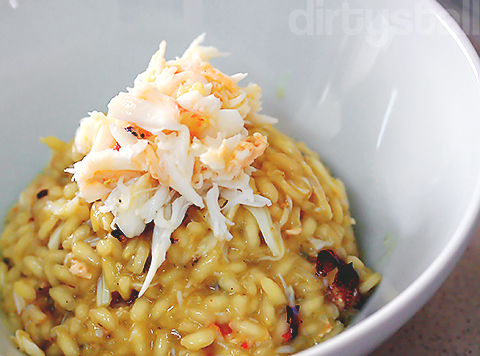 was there any reason why you didn’t choose to toss the crab meat along with the risotto? How did you killed the crab? Stabbed it in the abdomen with a chopstick, opened the bottom up, then chopped it into 2 with a big cleaver!